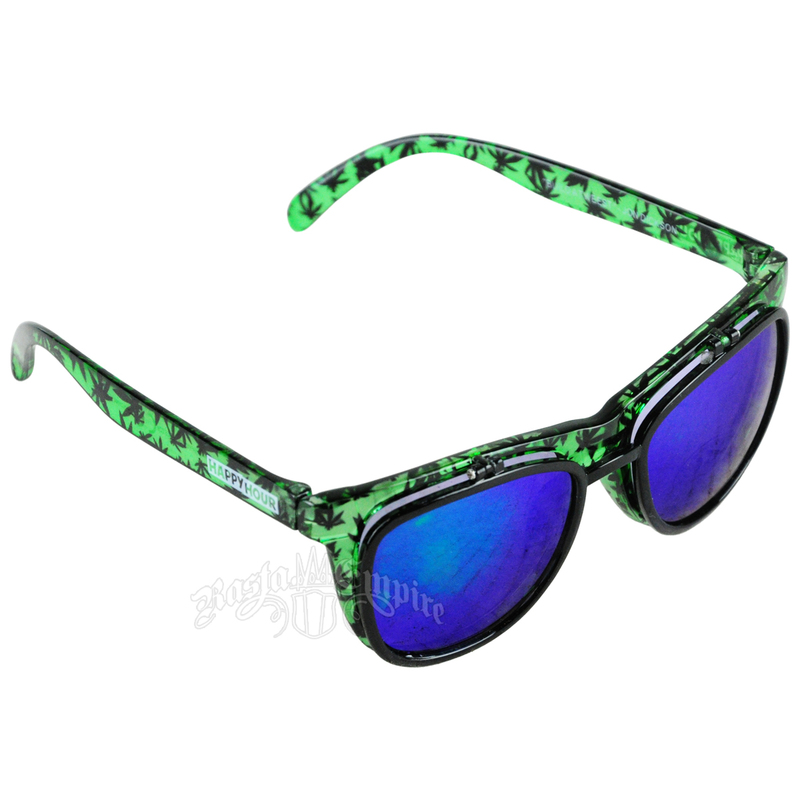 Stay cool with this pair of green and black pot leaf pattern sunglasses, made of a semi-transparent polycarbonate plastic. The under lenses of the glasses are lightly tinted while the flip-up lenses are darker, mirrored, and framed in black. Both lenses have UV400 protection and are made from impact resistant materials.